"I came in for lunch and it was busy as usual. A employee by the name of Latif worked very fast to ensure I had a clean place to seat. He worked very hard to make sure I had a wonderful meal..."
"Should've gotten the lunch special which is a serious bargain. I got the Schwarma sandwich which was very good. I could have filled up on the pita bread alone. Next time I'll get something..."
"So my first review on yelp and it definitely has to be for Pita Inn. 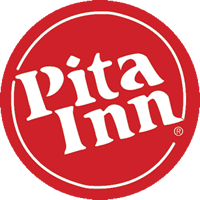 I have been eating Pita Inn since the early 2000's and I still absolutely love it after all these years. Everything on their..."
"The food here is always high quality and good. It has always been consistent and worth the money. Friendly staff too."